TALLAHASSEE, Fla. (AP) — Just a month before Florida chooses a new governor, Ron DeSantis is hoping to rebound from his campaign’s lackluster start by bringing in the woman who helped President Donald Trump carry the state two years ago. The Republican candidate’s campaign events are transforming from subdued to lively, fundraising is picking up and the attack on Democratic opponent Andrew Gillum is becoming more focused. That’s just in the week he brought in Susie Wiles to reboot the campaign. “It’s not too late,” said Brian Burgess, who was communications director on Republican Gov. Rick Scott’s 2010 campaign, working with Wiles to help him squeak out a razor-thin victory despite being down in the polls a month before the election. DeSantis stumbled out of the gate after winning the Aug. 28 primary largely on Trump’s endorsement. The next day he warned Florida voters not to “monkey this up” by supporting Tallahassee mayor Gillum, who is hoping to become Florida’s first black governor. Democrats criticized the remark as racist and DeSantis spent his first week on defense. Gillum’s momentum was immediately clear: In the first three days after the primary, his political committee hauled in $2.3 million, compared with less than $250,000 raised by DeSantis’ committee in the same period. Burgess said Scott likewise had to retool after the primary, noting that the campaign didn’t even have a television ad on the air for three weeks — a seeming eternity in a state where nominees are picked a little more than two months before the general election. There are signs that the DeSantis campaign is getting more focused. Polls are tightening and this week he packed the Italian Club of Tampa. The crowd swayed to a 1950s-style singer crooning “Chantilly Lace” and cheered wildly when DeSantis took the stage. DeSantis and Republican allies have begun to hit Gillum hard with television ads criticizing his response to a hurricane that hit Tallahassee in 2016, his proposal to raise the state’s corporate income tax and an FBI investigation into Tallahassee City Hall. Gillum says he isn’t a target of the investigation. 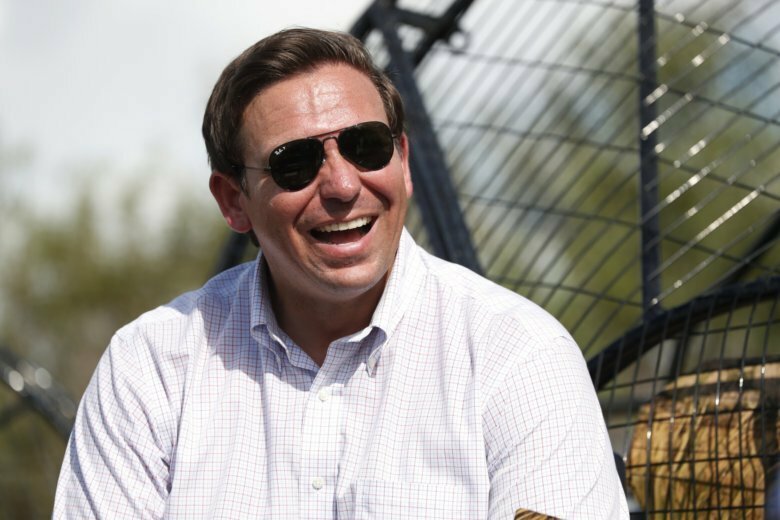 The governor’s race could have implications far beyond who’s elected to the lead Florida. It is the largest state that can swing either way in a presidential election, and the sitting governor will be influential on whether Trump or his Democratic opponent earns its 29 electoral college votes. U.S. Rep. Ben Ray Lujan, who chairs the Democratic Congressional Campaign Committee, said the enthusiasm around Gillum is spreading to congressional races that weren’t thought to be competitive. “Keep an eye on some of these other Florida races where maybe they weren’t on everyone’s radar because the numbers are showing that something is happening in a positive way for Democrats in the state of Florida,” Lujan said.